Cooking is a refined art by itself. Every individual looking to bring some difference to the regular dishes must have a unique sense of taste and bring something new to the dish. Starting with foodies who eat a variety of cuisines, to the domain of health conscious people, food is a necessity for all. Most families find themselves struggling to match up with their taste bud needs to the activities that call for making their livelihood. Thus, comes in the various needs and qualities of a personal chef. The quality level and the standards can vary with prices, training and sills. All you have to do is select the right method of hiring the chef. Before hiring any personal chef, it is important to understand how the chef will compliment your schedule and lifestyle. Make a note of how many meals you will want them to cook. Are you a cook-at-home person and need a chef to cook regularly? Or are you in need of a person who cooks occasionally for you at home? If you are planning to hire a full-time chef, will they stay at your home or would you just prefer them over meals and to prepare food? Having an appropriate budget is definitely important, when planning to hire a personal chef. Personal chefs come at huge price gaps and if you are not careful enough, you might land in a situation of huge-over budgeting. There are a few things to keep in mind though. Highly trained experienced chefs will charge you a lot more than what less experienced chefs do. Specialized chefs will charge you different rates for the same quality of food. Part-time chefs will charge you on an hourly rate, while dinner parties and other events might even come at flat rates. This is an important consideration as the choice of the personal chef depends on the cuisines people expect you to cater from. Are you looking for British, American, Asian or classic Japanese food? Are you on a gluten-free or vegan diet? Do you expect the cook to furnish you a five-course meal or just a single-course meal will do? Are they expected to cook for family only or on all occasions? These are a few questions that need to be answered before you decide to hire a personal chef. No matter what be your reasons to hire a personal chef, cuisines definitely play an important role in determining your choice of chef. 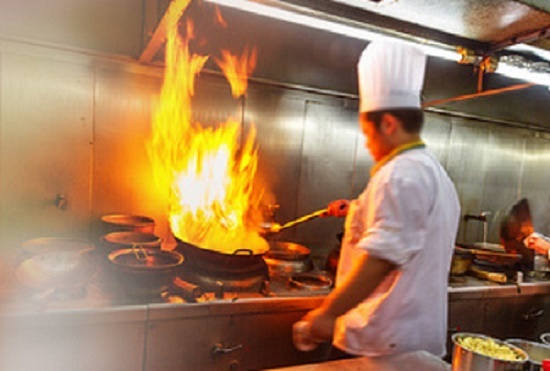 While looking to hire a personal chef you need to know that most chefs started their careers in hotels and restaurants. Most chefs opt to move from corporate to private work and find it normal to mention this work background in their CV or resume. Chefs are flexible professionals who can work easily in any kitchen, so there is no issue if they lack domestic background experience. Most chefs are asked to try and do extra duties within the kitchen and surrounding the meal preparation area. This starts from menu planning, shopping for the food, sourcing to serving at the table and presenting this food to guests. This can also be a difficult side of domestic chef work which generally goes unnoticed within the corporate world. Every home owner has different expectations from their chef and also the routine that is created by them. As cooking for dinner parties and events require additional skills – not every personal chef will be able to offer you this. Most chefs will take it as an exciting challenge, but some people will prefer to cook for smaller groups of people only. If you host dinner parties and events on a regular basis, it is best to talk to your chef in advance. End of the day we all need a chef who is apt to meeting all our needs and be well-suited to meet the taste-bud needs of the family. When searching for a personal chef a family must present their expectations in detail. The more details you open-up, the better will be that aroma rising from that table every meal time.